We often hear financings referred to as Seed, Series A, Series B, etc. Can you start us off with a general overview of the stages, the amounts being raised and the average post-money valuations at each? What types of investors play at different stages and how does the mix change? What major milestones are often expected of the startup at each different stage? What issues/mistakes have you seen either investors or founders make at various financing stages? Can you tell us what the Series A crunch is and what effects it’s having on the industry? We have seen non-traditional players entering the late-stage and secondary market. Can you illustrate why this is happening and what it means for Venture? 1. The expectation with the seed round is that the company will get a product that is demonstrable and at least shown to a representative set of the market that they are going to approach. Seed is often done via “unpriced” rounds as we discussed last week w/ Bill Payne on Convertible Notes. Remember that these these funding instruments allow the investor to convert to equity based on the raise at the subsequent A Round. Ann also mention that the standard:We often think about Angels and VCs but there are also Corporate Investors that are increasingly becoming active. And the importance of choosing strong Series A and B venture capitalists is important here b/c they are the entities with not only the network of corporate partners but also the credibility with those partners.We often think about Angels and VCs but there are also Corporate Investors that are increasingly becoming active. And the importance of choosing strong Series A and B venture capitalists is important here b/c they are the entities with not only the network of corporate partners but also the credibility with those partners. A Round raise is $3M and the valuation is often under $10M. A typical Software A Round is called a four on four which means the pre-money valuation is $4M, the raise is $4M, so the post-money valuation is $8M. Whereas a B Round has no “typical.” It really depends on how far you’ve gone and how much traction you have. 2. We often think about Angels and VCs but there are also Corporate Investors that are increasingly becoming active. And the importance of choosing strong Series A and B venture capitalists is important here b/c they are the entities with not only the network of corporate partners but also the credibility with those partners. Can I upsell software to these customers? Can I hire more sales people and proportionally get more customers? What is my cost of customer acquisition or CAC Ratio? What is the Churn ratio of my customers? 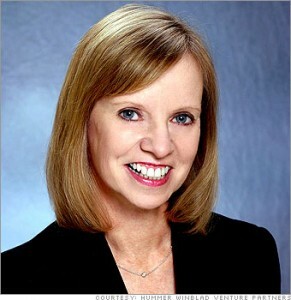 Nick: Today we have Ann Winblad on the program. She is co-founder and managing director of Hummer Winblad Venture Partners and serves as a director, board member, and advisor to a number of startups, foundations, and organizations. It’s a big pleasure to have her on the show. Ann, thanks so much for joining us to discuss the stages of financing. Ann: Great. Thanks for having me, Nicholas. Nick: Ann, can you walk us through your background and how you first got involved in the venture business? Ann: …to become his partner in a venture firm. Realistically, I knew nothing about venture capital at the time. I only knew about software, and it was in 1989 when we started. That year, there was about $350 million total invested across the US in software companies. Our firm alone was $35 million. This last year, out of the $29 billion or so invested by venture capitalists, about 60% of that was invested in software. So we were on a leading edge of a fund that did only software investments and started at the Series A. So that’s a short version of thirty years in the software industry. Nick: Wow. So what did people do for financing early on? Was it just bootstrapping as an option, or were there alternative financing sources? Ann: There were some seed investors around. They were more like old boy’s dinner clubs, so you had to have an end to even get the seed money. They weren’t particular value-added. They just picked things they like, more like hobbyists. And those companies performed unnatural acts. We did that. We basically had consulting agreements during the day to earn money to pay ourselves, and then we wrote our software at night. We had to be very creative in how we use every dollar. I convinced my first programmers to take food stamps and deduct that from their salary. I had figured out in the state in Minnesota what was the maximum anyone could earn and still qualify for food stamps – it’s a very generous state. And I asked each programmer how much they spent on food. Once they told me that number, I deducted it from the market wage for an engineer and got them qualified for food stamps. That only lasted for so long. So really, we had to do two jobs at the same time. It meant that the growth of companies was a little bit slower because we weren’t able to put all of our resources, either financial which we did not have, or intellectual, behind one area. So that’s what companies did, and it was very Darwinian. There were hundreds of companies that got started and only those that were willing to take on lower salaries or no salaries, worked two jobs – their real company and another job – find creative ways to hire people, survived. Nick: Unbelievable message and resourcefulness there. Ann: And it was also a 20 below zero where I was. Nick: Yeah, right. You know, I think a lot of these startups and founders wonder how these venture capitalists get to where they’re at, and certainly that story is a good one. Obviously you fought hard to get to where you’re at and to make your startup a success. But let’s transition into the topic of the day. So the topic is the stages of financing. We often hear financing is referred to as a seed stage, a Series A, a Series B, etc. Can you start us off with a general overview of the stages, the amounts being raised, and the average post-money valuations at each? Ann: Sure. The one [00:05:01.10] here is that every company is unique. No one is average. Everyone’s above average and uniquely above average, so this is statistics perhaps at its worst, but generalizations do help. Today there are many seed investors. They are sometimes known as micro-funds or individuals who themselves have been great entrepreneurs. In the Valley, Diane Green who started VMWare, is a very prominent seed investor. There are also, for seed investing, various place you can go, such as Indiegogo or Kickstarter in particular if you’re a hardware company. In the software space, the average a company raise in a seed round raise is about half a million dollars, and they may raise that just with a piece of paper and an idea, much like they used to raise an A round in the early ’90s. With that half a million dollars, the expectation is that they’ll get a product almost to market. And what almost to market means is that the product is [00:06:00.09] and has been at least shown to a representative set of the market they’re going to approach so that we, when we then put the A round in, actually can talk to the marketplace. For most seed rounds in software, there are what’s called [00:06:15.28] rounds. The $500 000, we convert that to valuation of the A round. So most of the seed investors do not price the rounds. Some of them do. And so a seed funding company is usually priced at a valuation under a total of $3 million, although again, most are not priced. Some seed investors convert with a small discount for taking the higher risk to what the Series A is. There’s an abundance of seed round investing. The plus is, you get a chance to prove that you can attract a few people, that you can talk to your marketplace, and that there is feasibility in actually building very top products. The downside is that, it’s just a seed round, and most of the seed investors do not participate in the A. So you’re now at the starting line again to get your A round. The A round investor is expecting that you are either an expert in your marketplace. Most of that founders are not experts in the marketplace, but they have become students in the marketplace. 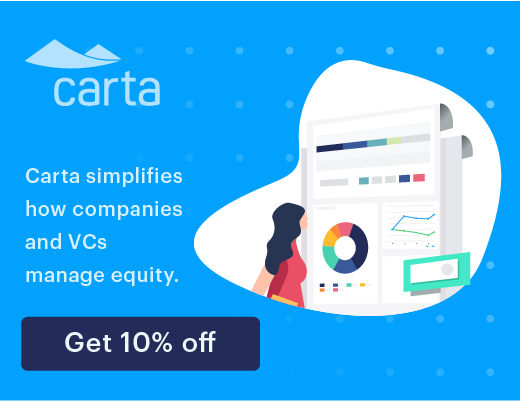 They have talked to the marketplace, they have identified a value gap – a very large one in particular – where they can provide enormous value to a large set of customers. The typical A round again is about $4 million. The valuation on that A round is typically under $10 million post-money. The typical A round is called a four-on-four in software – $4 million in on top of a $4 million pre, valuing the whole company at $8 million. B rounds, the bar raises again. When you’re a seed company, tons of money, lots of seed funding. A round, we lose a lot of companies that never go beyond their seed. Some get acquired at the seed level, but many disappear. From the A to the B, you’ve at least got investors behind you who have as traditional venture capitalists, reserved money for your follow-on rounds and are going out making introductions for you to those B round investors. So you’re playing inside baseball effectively – inside the stadium where the other investors are and where investors have seen the movie and become [00:08:28.24] at the movie to keep you funded. B round valuations can be anything. Once you get past the A, there is no typical. It depends on how far you’re gotten in your progress, how pure the market is, meaning were you the only one that found this and you got there way ahead of the pack? So once you get past the A round, there is no typical valuation. One of our companies just did a C round in June at a billion dollar post. Ann: So that’s typical for all C rounds. It’s a little company called InsideSales.com. And it’s a very good story. Nick: Well, good for you guys. Nick: Yeah, and for them. Ann: It’s only good for you… Valuations are irrelevant until there is a liquidity event. And there’s one of three. An IPO, that’s the rare find event. Two, an acquisition which could be positive because it could be above your valuation and everybody makes money – entrepreneurs and investors. Or three, the company gets sold, meaning it finds a nice home but nobody makes any money, and then there is option four, the disappearing act which does happen. Ann: So again, even for InsideSales with their fantastic post-money valuation, on a fairly early round until there’s a liquidity event, it’s all just numbers on a piece of paper. Nick: So what are they types of investors that play at these different stages and how does the mix change over the course of series of financings? Ann: This has changed quite a bit in the venture capital space. It used to be that there were funds that did only one series. There were seed investors, A round investors, midrange investors (that means B and C or later stage). It is becoming more common now for the bigger funds to do multiple stages, sometimes all the way from seed to later stage. And those are the traditional investors that we’ve seen around for a long time, like Kleiner Perkins, Graylog, Exel, where they might have sets of their money for each of these stages. More typically in the greater number of venture capitalists, they are not stage agnostic. They’re stage specific. We start always with the A. We don’t do seed and we don’t sit with later stage. We’re the first institutional investor in the company. Seed round investors are typically smaller funds. They’re doing a lot more deals, but again they may or may not do any follow-on rounds in those deals, again called micro funds. We hone our skills to be various stages. Even if you’re a large fund like Graylog, you have specific people working at specific stages for the most part. As A round investors, we have to help you recruit people, we have to open a lot of doors for you to the market landscape of the software industry, we are probably spending more time in board meetings on testing whether our assumptions of the markets we’re going after, our pricing strategy, our competitors, the value proposition, are still valid versus looking at just scaling economics. For the seed round investor, they’re basically hunting for promise. We try to turn promise into reality. We take the straw and help spin it into gold. Later stage investors usually do not take board seats. They’re more monetary than strategic investors. And then there is one other set of investors we have not talked about which are corporate investors. About half of the deals that happen now, stage A and above, have a corporate investor in them. We have a number of corporate investors in our companies. Swisscom just recently invested in one of our data center companies. WBP, the largest agency in the world, is an investor in Ace Metrix, one of our companies. So this is a new wrinkle, and it’s a positive wrinkle to the venture area where companies have funds so that they can get a closer look at innovation. And the innovators, in this case are companies, have a chance to work closely with a market leader. Nick: How do you find that these corporate players typically get involved? Ann: My experience has been that their goals are really to get as close to innovation as possible, not necessarily to acquire these companies. So it’s important to not view your corporate investor as an endgame. For the young entrepreneurs, it’s really important for them to really understand what is the strategic value of this strategic investor. And like any other partnership it requires work. For the most part, the entrepreneur wants to use the strategic investor more for getting revenue faster. How do I get your customers to be my customers? A strategic investor does not want the entrepreneur that close to the customers until they’re really proven. So it’s a little bit of a dance, but the strategic investors have a very, very important voice. They’re in the movie of your industry. They’re seeing the movie every day. And the good entrepreneurs really don’t get overly anxious about getting towards revenue goals with these partners as much as getting the experience or wisdom and other valuable contacts from them. So it’s a working relationship that has to work on both sides. The corporate investors that we work with are very experienced. They’ve done this for years and years and years, and they’re very good at sitting down with the leadership teams and finding a win-win relationship even early in the investment process. Nick: So you talked earlier about some of the characteristics of the startups that are participating in each stage. Can you speak to the major milestones and expectations at each of these different stages? Ann: Sure. In the early stages, everything is trumped by, “Are you in a great, big, accessible market, and have you figured out not just how to build the product, but also how to penetrate that market?” We talked about software earlier as being a marketplace that’s gotten quite large. So people are spending tons of money on software. It’s not like you’re the next new thing to perhaps anyone. So how do you communicate your value proposition to this large market, and how do you get your first customers? That’s basically the seed round and A round investor. As the A round years go by, which might be a couple years with your A round, scaling economics become very key. What are the multiplayer effects? Once you get to that B round, you really have to have a good understanding of which of the assumptions you’ve built the company on are now turning into facts? Can I retain the customers for the period of the thought? Can I upsell software to these customers? Can I hire more sales people and get more customers? What do my key performance indicators look like? What’s my cost of customer acquisition on my cap ratio? Do I know what my turn rate will be on my customers? How many can I keep on my subscription revenue and how many will I lose? So as you move later into the funding rounds, into the B and C rounds, which are not necessarily later stage, really the scaling economics become very key. Do I have facts that I know how to scale? Once you start scaling and you’re starting to prove not only are you delivering extraordinary value to a broader set of customers, but at the same time you know how to effectively reach them, how to effectively close a sale, how to retain them, and how to do that over and over and over, then money is an abundance for you again, because that means you’re one of those very, very successful companies like InsideSales that I referred to earlier. So just to summarize, it really is for seeds rounds, articulating the promise. I have found this market. I can build this product. Give me some money to build the product and go talk to it even more. A round, I’ve gotten part of the product build if not all with my seed rounds. I have customers that will validate that this is really delivering value for them even if they haven’t used the product but have seen it or tested it. And so there’s more proof, not a lot – it’s mostly assumptions still – of the market opportunity and the market fit. B round, yes it fits, and I’m starting to get real traction, collecting real dollars, and I have assumptions about my multiplayer economics. C round, I need the money to multiply. D round, I’m multiplying. I can take money from many sources because I have proven that I’m a winning company. Nick: What issues and mistakes have you seen either investors or founders make at various financing rounds? Ann: The biggest things that goes wrong in companies is, not all the things are talked about. It’s [00:17:16.25]. Let’s say that the founders’ not getting along. Even when all this other stuff is happening positively. Well certainly, you know, you lose a CEO. It’s impossible to go raise your money without the CEO. Or, you know, your key developer quits, or your developers walk out. Or there is an [00:17:38.21] here that is very, very key about people are not only learning about their marketplace, learning about competitors, learning how to price and engage with the market, but they’re learning how to run and build companies at the same time. It’s a lot of learning. And some people are not good learners of all that stuff simultaneously. And then personalities, that most people we fund have some sort of over-achiever gene. And some over-achievers have self-destruct buttons, and you don’t see those right away. That tends to take most people off of their stride. The other thing that can go wrong is that you run out of money at exactly the wrong time, between what we call these proof points. Product isn’t quite yet built enough to show it to anyone and your angels are tapped out. You raise your A round because you got to the proof point and you’re doing okay, but instead of closing enough customers or having enough market validation, there’s just a little. Because you learned with market validation that the product needs improvement. So you’re not going to try and haul around an inferior product to your customers, you’re going to go back to the drawing board, so that costs you a bit more money. Suddenly you’re out of money, and then your A round investors, if they’re good investors and still believe the market is there, will bridge you. But it makes it just that little bit harder to go out and get the next round if you didn’t quite run somewhat imperfectly, but perfectly on your assumption cylinders. So that’s what usually goes wrong in the funding stages. Also the B rounds are hard to get. If you get A rounds it gives you kind-of a trophy. You’re in venture land. But the B round bar is higher, and fewer of the A round companies get funded. We could lose some companies along the way. So the competition for dollars can be intense between the A and B rounds. Investors don’t have a quota of the number of deals we do and it tends to depend upon how many boards we sit on. It’s a really a capacity-driven business. So you might end up fundraising, let’s say you’re in a sector where suddenly all the B round investors there are at capacity. They’ve sort-of gorged themselves [00:19:50.14] deals at that time. That’s not going to work for you. So there is a lot of serendipity about timing here, and really, really sitting down and understanding your assumptions and what you set as risk reduction points that are achievable. Nick: You’ve talked about these proof points. Have you ever had a situation where there was a promising startup that you guys were following at Hummer Winblad and they didn’t quite reach that proof point at the series A stage, whether it be some market validation, some traction, some proof of concept, but you felt like they were close? Did you ever proceed with the series A where they didn’t quite hit the proof point you’d expected? Ann: Yeah. One thing to remember is until recently, there was not a [00:20:34.13] seed funding round. So we didn’t get a chance to see anything. We funded a great little company that became Hyperion. We funded two guys, Jim and Bob. They came in with a piece of paper. And Hyperion was ultimately acquired by Oracle for over $3 billion. It was unclear that… Bob, the co-founder, was a rocket scientist at NASA Ames, had never written any commercial code. He wrote code that had to work, but he’s a true rocket scientist, not an entrepreneur yet. Jim had never run a company. He was a really top-revenue guy and they did such a good job of convincing us at that the market opportunity was there, that we funded Jim, Bob, and their idea. And it was a huge win for us. It was the most successful IPO of 1995, later was acquired by Oracle for $3.3 billion. But today we’re looking to see more. So we like to see more. So most of the time we didn’t get to see any proof points. We had to decide on the quality of the market. We had to go ask the customers, “If somebody built something like this, do you think you might want to buy it?” That’s a lot of if’s and might’s. So we always had to invest on our beliefs that the market opportunity was there, the bit of knowledge we could get from customers by talking to them about the future. So we had to do it that way. Now we don’t, because there’s so much angel money around. Although occasionally we do as well. We funded a company in Boston called NuoDB. No angel money, and their goal was to attack one of the largest un-assaulted markets in software, the database market, dominated by Oracle. Huge technical risk for us to fund them, because if it didn’t work we had nothing. Some really good pedigree in the founders. They were across the country, not here. But we funded them and they are doing quite well and have achieved their follow-on rounds as well. So occasionally, even now, we do find real breakthrough technology where there’s really not much we can see or prove, but we believe in the talents and they have become intense students of why there is a market opportunity and can teach us that. Nick: Yeah, this point you made about angel money is a good Segway into the next question here, so. We’ve seen this situation of the series A crunch evolve and maybe be exacerbate by amount of angel money and/or valuations at the seed stage. Can you talk about what the series A crunch is and what effect it’s having on the industry? Ann: Oh, sure. There will always be a series A crunch. There will never be an overabundance of series A investors. It’s the hardest round to invest in because it requires the most amount of work. You know, this morning I showed up at work and I looked at my email before I got here and I thought, “Oh [00:23:28.10] manage this day.” And I got here and there were twenty emails from five different companies asking me for something that they would like me to do for them today. So young companies is something I can do, but you know, you don’t do that when you’re a D round investor or a later stage investor. So you have to really, really love company building and really, really like entrepreneurs and really like the work of your industry which is the software industry in our case. So there will never be more A round investors than there are. The seed investors are tiered to keep multiplying. And there are now thousands of seed funded companies out there and there will not be thousands of A round investments. So if you really look at how many companies – new name companies – are funded every year in the software sector, it’s only a couple hundred that get A rounds. And you know that there are thousands that get seed rounds. Ann: So, some of these seed round deals are acquired. Some of them maybe don’t ever need the money, but it’s basically still going to be an A round crunch as long as seed money keeps multiplying out there. Nick: Do you think this is a new thing, or do you think the series A crunch has been around since the beginning, it just didn’t get as much press? Ann: Well, you couldn’t count it before because people didn’t have any money before they came to us. So if you look at the number of companies that gave pitches to A round investor and the numbers that got the money, clearly everybody that wanted the money did not get the money. At most, we’ll do ten new companies a year here at most. And we’ll, between our partners, see 500 pitches. And some of the companies that pitch to us will get funded by others but not 490 of them. So it was very, very hard to measure. It’s easier to measure now. If you go to CB Insights, which is a company that actually shows a lot of data about especially tracking seed round investments, and then they will tell you that there are thousands of companies that are just going to disappear. Ann: I think they have some really, really good statistics on this that are quite interesting. And you know, they will also point out that in the first half of the year, most of the money went to later stage deals, not to early stage deals. So it becomes also, once a whole bunch of seed deals get funded, then a whole bunch of A, and then a smaller number of B, and a smaller number of C. People start tracking that then it starts all over. But clearly there is a series A crunch if a crunch means that everyone who wants series A doesn’t get it and you can still count them. Nick: So you’ve talked about the later stages, and we’ve seen a lot of non-traditional players that are entering the late stage in the secondary market. Can you illustrate why this is happening and what it means for venture? Ann: Well, for the most part it’s all good. Most of the later stage money has come from traditional venture capital firms, at least in our companies, in later stage rounds that I mentioned for InsideSales that was done by Polaris Ventures and Kleiner Perkins. Now Kleiner Perkins invests all the way from seed to later stage. Polaris, who historically did A round deals with us in the early ’90s, have shifted most of their funding towards later stage. So they’d become more of a later stage. Some of the private equity companies have looked downstream and one of the reasons they’re looking downstream is, to take a software company public today, they have to be leaning into $100 million of revenue. So they’re pretty large companies. These companies that are getting later stage are not companies that are $20 million of revenues for the most part. They’re fairly large. They could be public companies, historically, but the public market is more demanding in the size of companies that they’ll accept, meaning they have to be larger. Ann: At the same times, some of the institutional investors are… that typically invest in these companies when they become public are looking downstream as well. And as institutional investors of public market companies are buying small pieces, are participating in the later stage rounds of these much larger companies. So from the outside they look like private companies. From the inside, they’re companies that are operating like they’re going to become public companies, have very good corporate governance, have probably robust boards. Not all of them, but for the most part. And that… it really is this bar to the IPO that really has drawn more people into later stage because these companies are so much bigger as private companies. Nick: Let’s transition a little bit, hear a little more about you. So I heard you give a speech at TED a few years ago about the role of venture capital in our society, and it was really refreshing to hear a practitioner talk about why they really like their job. Can you share with the audience what it is about venture that makes you excited about what you do? Ann: Well, first of all, venture capital actually is really key to the U.S. economy. We are core to jobs creation. People have dinged us on this a bit because they say “Well, software companies don’t hire that many people.” Look at how many people Microsoft has verses how many General Motors had at its peak. That’s a bad ding, because the whole economy is changing to an information economy and we do create long lasting, successful companies. Companies like Federal Express, companies like Oracle, companies like Microsoft all benefited from venture capital and they have large numbers of employees. Our own companies that are now public and private have now hundreds of employees each. There’s a multiplier effect on all this information workers as well as fairly high wage earners, service economy’s built around them. San Francisco right now is really a hub of software companies, the city itself. And there’s about a four percent vacancy rate in commercial real estate here. Pretty sure every apartment and house is packed with people. It’s a booming economy. So we really are part of the U.S. economy. Second, we really do take the risk that no one else will do. We actually hand the money to entrepreneurs. Mostly entrepreneurs we only met recently because we believe in innovation and it’s a fun and miraculous and wonderful thing to really satisfy customers, to really make businesses run better, to change whole industries. We’re not investors in Uber, but I know that it’s totally changed the way that I get around town. Not only this town, but towns all over the world. It’s really changed transportation. It’s easier to talk about the consumer end of companies because they’re more understandable. Airbnb, that has really changed rental businesses and the hospitality business in general. Nick: Yeah, I’ve heard these spurious arguments about the role of venture and start-ups in the economy but I think the reality is that change is coming and disruption is always coming. So you can either be an enable and supporter of that value, creation, and growth, or you’re gonna be a bystander. Ann, if we could cover any topic in venture investing, what do you think should be addressed and who would you like to hear speak about it? Ann: When you really look at finding great market places and really understanding “Is there a market opportunity?” I think the best investor in the world who knows that and can speak about it the best is Warren Buffett. He’s not a venture capitalist, but he is the best investor in the world. And Warren says “Markets that last.” He never loses the discipline of markets, and it is really hard once you get going in these companies and you’re building the product itself, to lose track of the bigger picture, which is your market. And Warren never loses track of the bigger picture. So, I think that is the most important topic for entrepreneurs and venture capitalists is staying on the big picture, which is your market, and the best of the best who should speak about it would be Warren Buffett. Nick: Well, I can only dream about that, but maybe someday we’ll get him in. Alright, so what’s the best way for listeners to connect with you? Ann: I’m the only one who reads my email, so sometimes I get a day behind, but my email is awinblad—W-I-N-B-L-A-D—@humwin—H-U-M-W-I-N–dot-com. I’m on Facebook and LinkedIn, if you want to know more about me and our adjustments. That’s the best way to find that. Nick: Alright, we will have all of Ann’s contact information in the show notes on the site. Ann, thanks so much for being with us today. It’s been great to hear you talk about the stages of financing. Ann: Thanks, Nicholas, and thanks for all the great work you do for entrepreneurs. We really appreciate it.